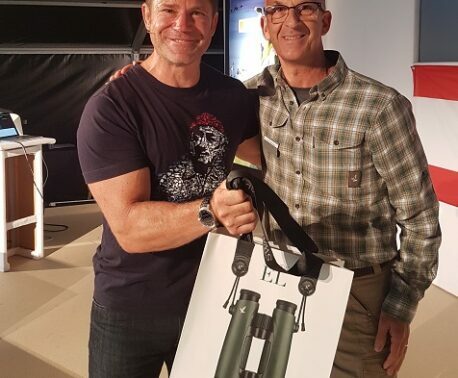 WLT Patron Steve Backshall and ambassador Nick Baker encouraged donations to World Land Trust (WLT) through book signing events with Wild Sounds & Books at the British Birdwatching Fair (Birdfair), raising £1,200 for wildlife conservation. 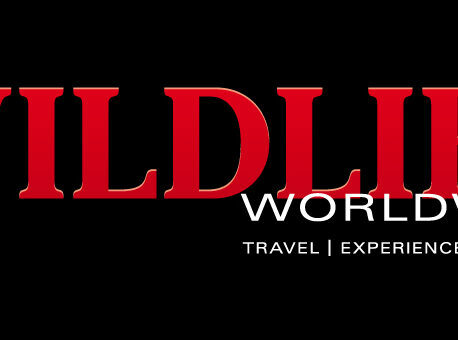 WLT has been attending Birdfair for more than a decade, hosting a stand for supporters to meet WLT staff, lectures about conservation projects around the world and holding competitions with prizes donated by WLT sponsors. Three of WLT’s corporate supporters, Puro Fairtrade Coffee, Páramo Directional Clothing and Swarovski Optik, are present at Birdfair and add their support to the WLT stand: Paul Best from Puro serves rainforest-friendly coffee in return for donations to WLT; Páramo jointly sponsor a lecture centre for WLT and partners to give informative talks about land conservation across the world and Swarovski donate binoculars to WLT’s annual competition. Dan Bradbury, WLT Head of Development, says the Birdfair is a great opportunity for WLT to meet lots of WLT supporters and Friends, and introduce the charity to people who may not have heard of it before. Many of the donations raised on the stand this year were towards the Caucasus Fire Relief Fund, to support the firefighting and recovery efforts by WLT’s partner in Armenia. Each year WLT invite overseas partners to attend Birdfair, to meet supporters and give talks about the conservation projects they are involved with. 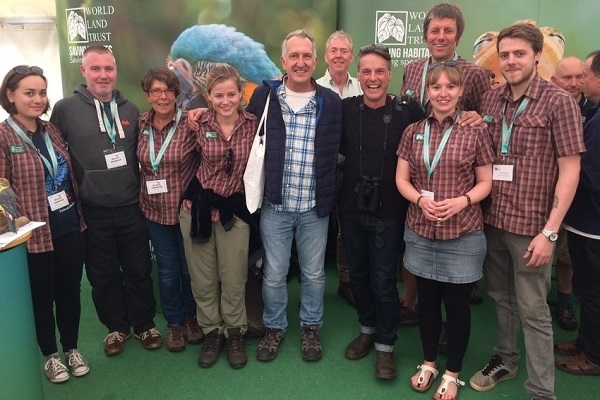 WLT announced at Birdfair that the £20,000 target for the Blue-throated Macaw Appeal had been reached. The funds will go to WLT’s partner in Bolivia, Asociación Armonía, to fund a conservation project for the Critically Endangered macaws. Armonía’s Executive Director Bennett Hennessey was on the stand, answering questions about the appeal and talking to people about Armonía’s latest success in producing Bolivia’s first ever bird guide: Birds of Bolivia. Also on the stand was Germanico Barrios Blandon, Ecotourism and Marketing Manager of FUNDAECO, WLT’s partner in Guatemala, who gave a talk about the Conservation Coast of Guatemala and the multi-faceted approach FUNDAECO takes to conservation in this Latin American country. To welcome the visiting partners and celebrate reaching the target for the Blue-throated Macaw Appeal, WLT held a drinks reception at the stand on Saturday afternoon, attended by various WLT supporters, staff, partners, and ambassadors Nick Baker and Mark Carwardine.